E-A-R Specialty Composites manufactures and markets proprietary elastomers for noise and vibration control, shock protection and ergonomics. 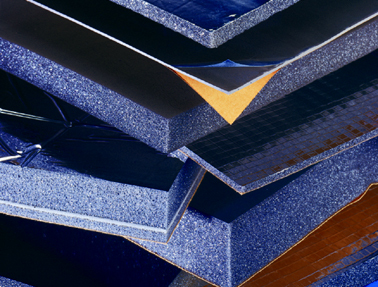 Available in three market-specific formulations, E-A-R's proprietary TUFCOTE® acoustical absorbing foams reduce noise levels within enclosed spaces—from equipment cabinetry to vehicle cabs. These versatile urethane foams are available with a variety of protective facings, in standard thicknesses ranging from .25-inch to 2 inches. 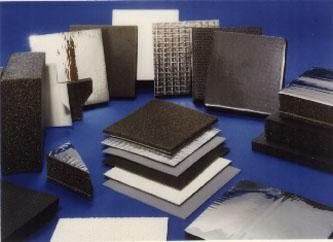 E-A-R's barrier composites provide weight- and thickness-efficient noise control for demanding environments by combining TUFCOTE® lead-free vinyl or urethane barrier materials with proprietary acoustical or damping foams. A variety of facings, as well as edge-sealing, increase durability, resistance to dirt and moisture. PSA backings are available, too.